Easter, the oldest yet most meaningful and significant festival in the Christian calendar, culminates in the festivities during Easter Sunday. We all have our own Easter traditions. Whether it be decorating Easter eggs, or hunting for Easter eggs as a child to passing on stories to children about how the Easter Bunny delivers chocolate eggs for them to devour when they wake up! It's how we create meaning to Easter. This year, we have created our own tradition -- Our Easter High Tea. Easter is also a time to reunite with families, enjoy a meal and indulge in chocolate. Of course, at Passiontree Velvet, we have created a indulgent and delectable high tea selection that will make this Easter with friends and family more memorable. Our Easter High Tea features an edible garden with chocolate soil, white chocolate carrots, pistachio sponge and Easter Eggs alongside our signature Berry White Chocolate Mousse, Lemon Meringue Tart, Apple Crumble Tart a choice of two macarons. Our second tier includes a Hot Cross Bun and a home-baked English scone served with cream and jam, and enjoy and array of assorted finger sandwiches on our third tier. 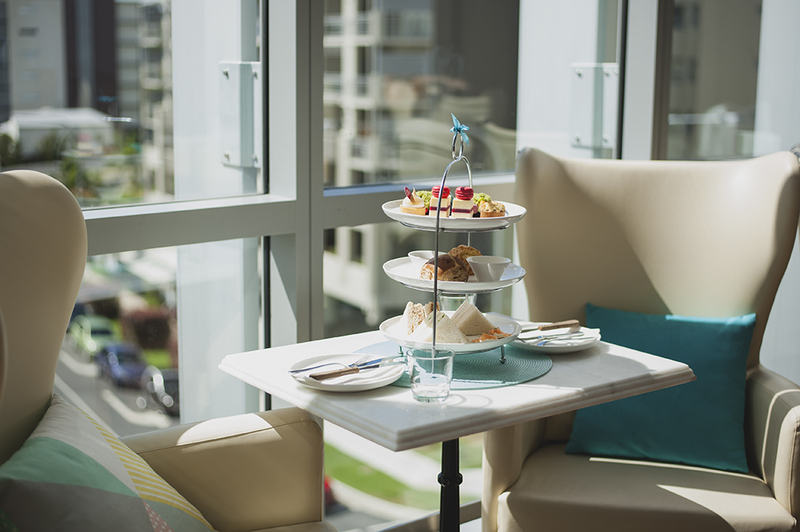 Our Easter High Tea is also accompanied by coffee or bottomless Harney & Sons tea. A day does not go by without cake.